Good day guys ! So happy that got my new shirts on the go right now. Definitely would like to share how the simple and easy way of matching your daily essential with your style. I love how 24:01 quality towards the shirt I am currently wearing. It's comfy and suits me up for my day. Of course , it will never go wrong with a pair of sneakers and I had chosen my Adidas Superstar to match it up. It was #myNewZalora of the day. "Quote "ZBAPQG1C" to enjoy 15% off on your total bill whenever you're shopping on Zalora Online Malaysia"
Good day guys. It's Friday and definitely gonna go college with some kick off students outfit today. However , it's really handy as you got the most clean color , White. White is the best color to be mix and match with. It's purity and innocence color helps in boosting especially with contrast color - black , red , checkered pants. Nevertheless , it always depend on how you are going to match yourself with your shirts and also your kicks. Grab my Hater snapback and also a Giordano Cardigans and off to college today . Love my kicks though as it really match my overall light color combination :) . Play a little with your own style , because there is no rules to be stylish . It is not costly as well , affordable price range stuff can bring out the other side of style as well. Hey guys , been struggling much on what to wear and when to wear though . Since the Kuala Lumpur Fashion Week 2015 is here , I would definitely go a little different even though Malaysia is full of summer with a little raining monsoon sometimes but that does not kill someone who really wanted to style themselves up , weather is just nothing to them. I choose to go a little different to play with my leather shoes today. Love the color and help in terms of boosting up my appearance! Nevertheless , I took one of my cotton coat to get along with , I think it pretty match and dare devil of mine thoughts going for a shorts that might turns everything down. Good day readers . Been trying out ROCKU for the third times and definitely gonna share my own experiences towards this restaurant. 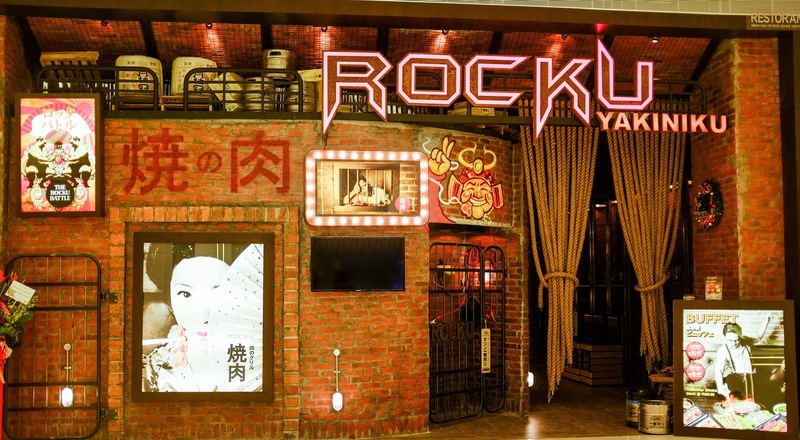 ROCKU YAKINIKU is a Japanese style of restaurant where decorated with traditional classy ways of serving food towards their customers. Their ambience is good as it creates a great atmosphere for you and your friends to have a short gathering together. The variety choices of meats including salmons and beefs are available for you to unlimited order as a la carte order. The style of ordering is great as you only order on the portion you think you could finish it. 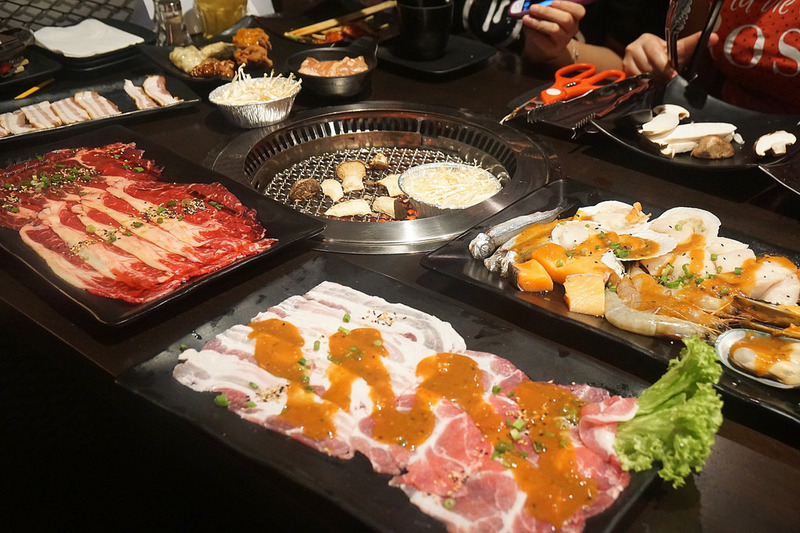 However, if you're a meat lover , I would say this BBQ Buffet is your worth trying places. Overall , it comes with two prices range from RM 39.90 to 49.90 (Lunch - Dinner) varies from weekdays to weekends. The prices are subjected to be charged with 10% service charges and 6% GST where it's around RM 46 - 65 for you to enjoy the entire food BUT not to beverages and their served ice cream (Polka) , Green tea are subjected to be charged and also their ice cream. In my own perception towards this restaurant , in sort of places such as Pavilion. We could not expect a meal that is below RM15 unless you are going for a fast food restaurant. Even Sukiya can cause you RM35 and above hence it's a worth trying restaurant if you are totally out of ideas on what to eat and want to have a lot of meats without worries , TA DA , this is it . ROCKU Yakiniku . Bad part is , does not come with free flow of beverages. You'll have to purchase to end your thirstiness and also pay for a scoop of ice cream. Sigh , I couldn't bear to do so but at least , I've tried this restaurant though. The air flow of whole restaurant is not really pleased either. Quite warm to be honest , make sure to take off your blazer or cardigans.